When complete, Lansdowne Place, on the site of the former Berkeley Court Hotel, will house 215 apartments in a pavilion-style development with swish London interiors firm Goddard Littlefair promising a high-end, hotel finish. 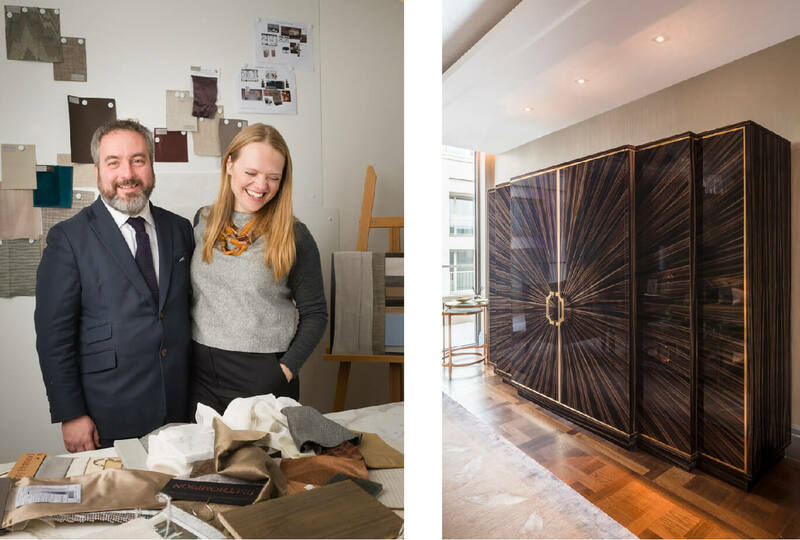 A husband-and-wife team, interior architect Martin Goddard, who studied furniture design and interior designer, Jo Littlefair, met while working at GA Design, an international outfit whose hotel portfolio includes some of the world’s best five- and six-star establishments including a plethora of properties for the Hyatt, St Regis, Hilton and Lyngham Groups and London’s Corinthian. The couple went into business on their own about five years ago setting up their eponymous firm. Last year The Printing Press Bar & Kitchen won the Best Restaurant in a Hotel category of the Bar and Design Awards and The Principal, Edinburgh was winner of the Best Hotel Interior, Scotland at the International Property Awards. 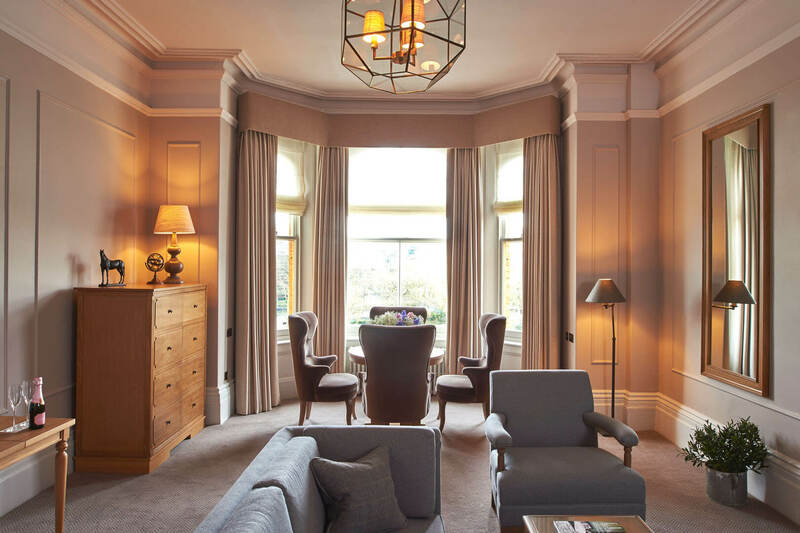 They’ve also just revamped Scotland’s grand dame Gleneagles Hotel and breathed life back into The Principal in York reclaiming its tea lounge, a space that had been relegated to conference room status. As well as private clients the firm has worked on several residential developments in London most notably Belvedere Gardens at South Bank Place, a riverside development by Canary Wharf Group and Qatari Diar on a prime stretch of waterfront with views over the Thames to the Houses Of Parliament and Whitehall beyond the London Eye. 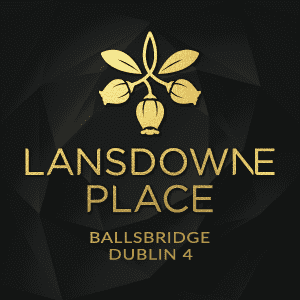 Some of Lansdowne Place will have the Aviva views but the architects O’Mahony Pike have put the focus on its beautiful landscaped gardens – the site was home to Trinity College Botanical Gardens from 1806 to the 1960s when the Jurys Hotel and Berkeley Court Hotel were developed. The development will house a glass feature by Peter Maguire Glass that pays homage to this history with fossil-like forms etched into glazed panels. This type of attention to detail is typical of the firm. He believes really good design is a balance between the practical and the aesthetic. These new apartments in downtown Dublin 4 will echo the Georgian and Victorian properties nearby in the use of materials and proportions. The homes will have sense of “verticality” through their oversize doors, larger windows and higher ceiling heights. 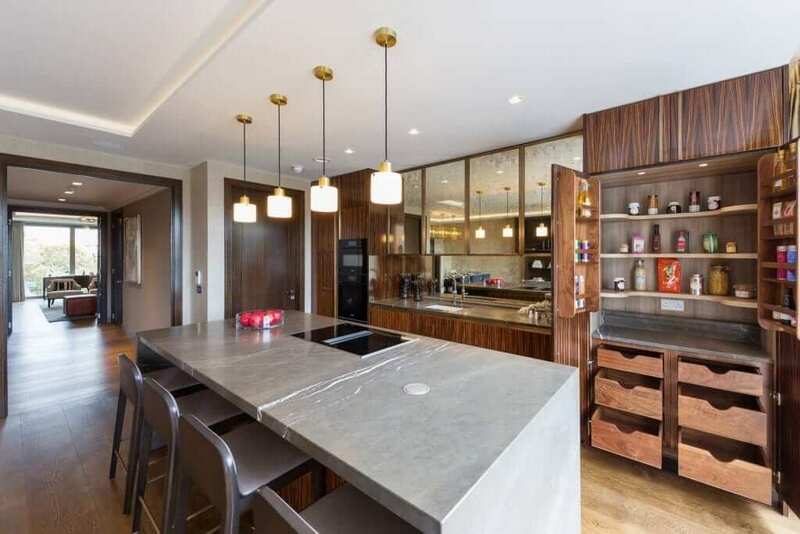 The living rooms and common spaces will have stepped cornicing set with warm strip lighting to reference traditional ceilings but in a simpler way, he points out. The look will be restrained rather than ritzy. The fixtures and fittings have to stand up to scrutiny and many have been designed specially for the project. Goddard travelled to quarries in Italy and Portugal to select the stone, most of which will be honed, giving a softer finish rather than a highly polished one. There will be no fires as a focal point, leaving buyers free to play with layouts. “The view is the focus,” Goddard says. 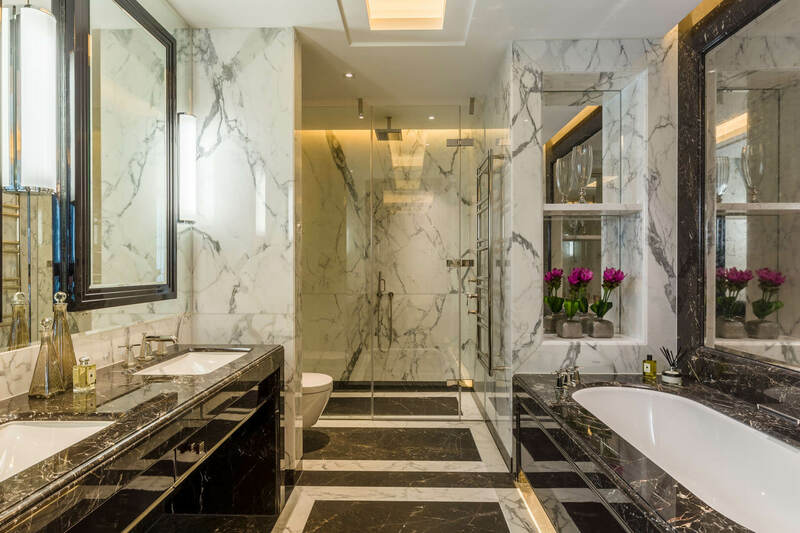 The firm’s hotel expertise translates especially well into the bathrooms which, in some instances, will be marble clad and where there will be mirrors with backlit panels to light the face in a far more flattering fashion than a simple down lighter. 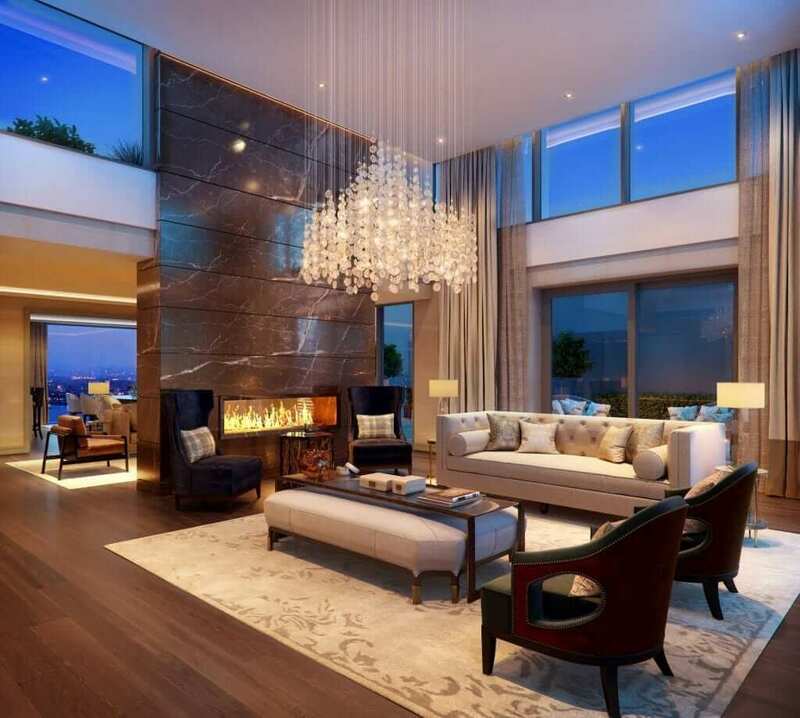 The lighting throughout will be layered, that is from several sources, so you can change the mood by flicking a switch or swiping your smart phone. The differences will be subtle. 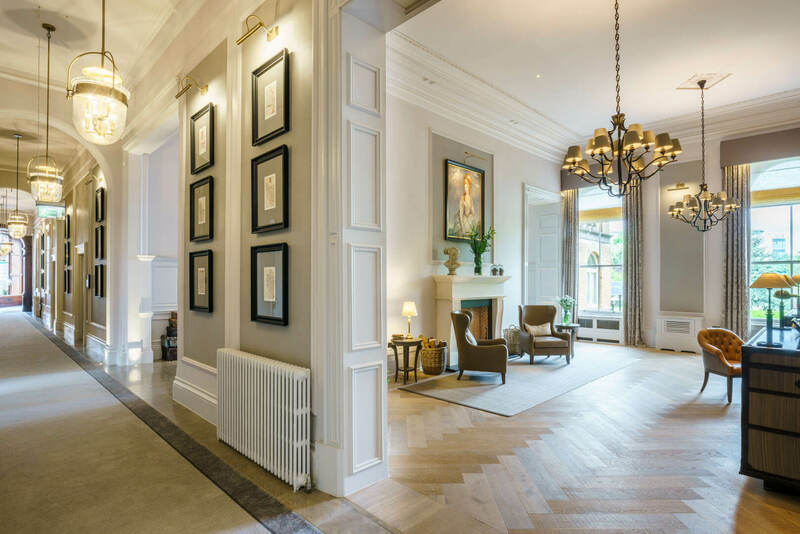 The joinery will be painted in a fashion that is in keeping with traditional period homes but Goddard believes will also appeal to people returning from abroad with international experience and expectations. He says apartments of this calibre need a master bedroom that feels expansive. 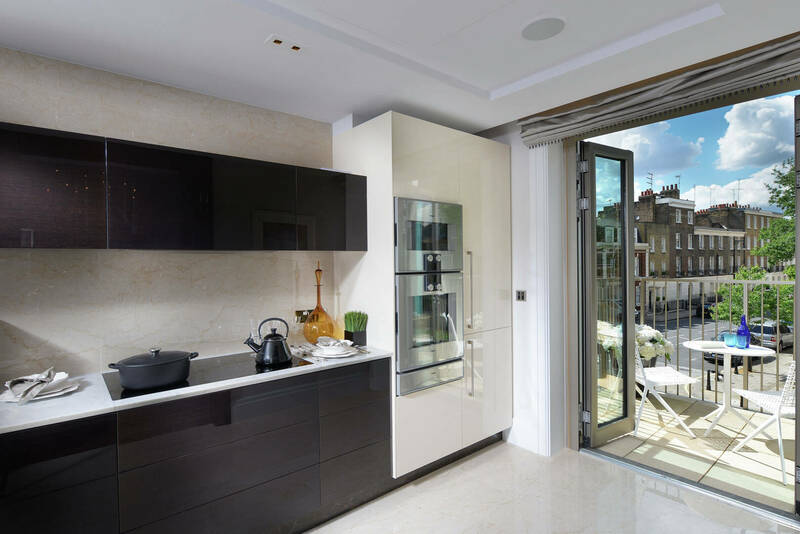 “The whole experience of the master bedroom, wardrobe areas and en suite bathroom is what sells a lot of these high-end homes.” Wardrobe storage is also essential and one of the key selling points of the firm’s London developments. Gallagher, A. (2017). 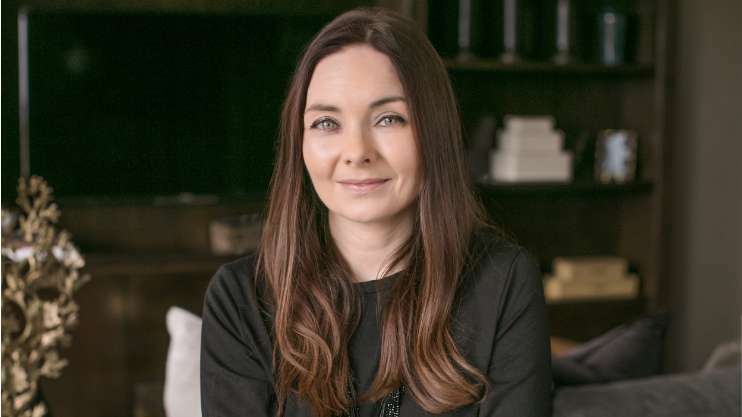 New Lansdowne apartments to get London designer finish. Irish Times, pp.1-2.